"If perfection makes nothing impossible, then imperfection makes everything possible." Honestly I don’t know…other than it gives me a physical and mental boost, clears my mind and motivates me in all aspects of my life. Urinating blood during my first 50 mile trail ultra! I enjoy seeing people get into the sport I’ve loved for so long and reach their goals and if I can help by running with them, talking with them and pushing their limits and giving tips…it’s worth it. 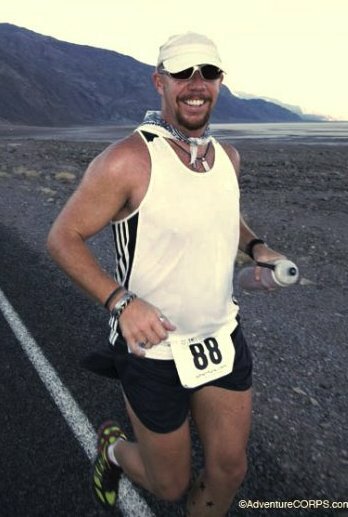 Utah Valley Marathon 3:50 group…helped many people stay slightly ahead of the 3:50 pace so several finished under 3:50 and later than day some lady came up to me and thanked me because she ran the first half with me and knew she couldn’t keep up but still finished sub4 and that was her PR! Because I have lots of gruesome ultra stories to tell…lol I do my best to keep everyone comfortable and change things up with their pace, form and breathing to finish strong. You can do it…I’m just a regular guy who discovered a marathon in possible!